First Japanese multi-touch iPad menu / ordering system demoed by Sharp. 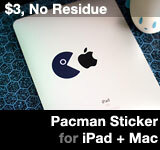 We’ve seen an iPod touch bartender & iPad kegbot. What’s next? iPad as a restaurant menu and ordering system! 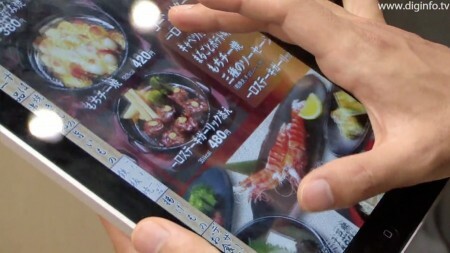 Japanese company Sharp recently demoed a restaurant order system made from Apple iPad. The news report describes: by using the multi-purpose Apple iPad, the system’s cost of entry is reduced. In contrast, a PC tablet typically costs more than an iPad, without the long battery life, beautiful display, or the smooth, responsive interface. Some might say, what about people running off with their multi-touch iPad menu? Well, that’s what all those Japanese-made samurai robot servers are good for! This entry was posted on Thursday, August 26th, 2010 at 8:00 am	and is filed under iPad. You can follow any responses to this entry through the RSS 2.0 feed.